Clarks Inn at Binsar is well- designed and built to offer world class amazing services and experience to travellers arriving from all over the world. With a vision to redefine the hospitality services, Clarks Inn at Almora provides amazing and luxurious services at the hotel with tremendous quality. Clarks Inn is located at Binsar at Almora which is the finest place for nature lovers and have been serving the guests since ages with thousands of its hospitality branches worldwide. Binsar is a tranquil and amazingly beautiful station that lies in the Almora district of Uttarakhand State. The hotel offer majestic and amazing views to snow laden Himalayan mountains and sprawling lush wood forest away from the clutter and chaos of the urban towns. The hotel Clark Inn is a perfect spot for nature lovers and umpteen numbers of games of joy and fun for the travellers here to unleash. Hotel Clarks Inn is situated on the Binsar road at 5ksm away from the Almora town. The Binsar is presently a small hamlet that is isolated from the clutter and chaos of the urban town and offers peaceful and tranquil ambience. 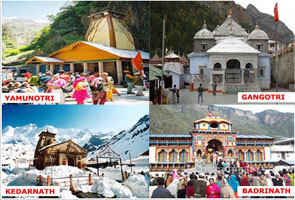 Binsar has a beautiful and magnificent cluster of 124 temples and has several places that can be explored by travellers. 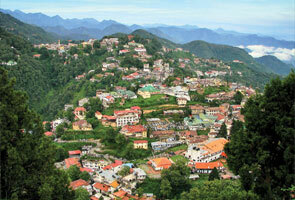 The hotel lies in close vicinity to Binsar Wildlife Sanctuary. The hotel has 25 rooms and 6 cottages for families. Each room is well-equipped with modern amenities and comprises facilities like TV, tea and coffee maker, blackout curtains, high- speed internet services, wi-fi, net access and attached bathrooms along with a range of other facilities. Each room has separate balcony that faces the lush green valleys of Himalayan ranges. Clarks Inn is a luxurious hotel that unfolds high end dining experience to travellers and unfolds a range of sumptuous cuisines to the travellers. Guests can order finest Indian and International cuisines along with traditional and contemporary favourites. 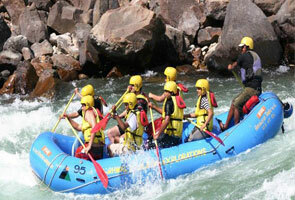 Warm hospitality and independent assistance would add to one’s mesmerizing experience. Ranikhet express is the best train that starts from Delhi and reaches Almora. Nearest railways tation is Kathgodam railway station. 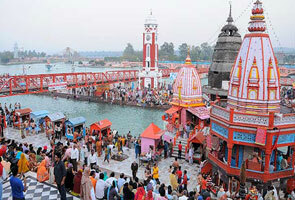 Taxis and buses are accessible from Kathgodam. Pantnagar airport is the nearest airport facility that is located at a distance of 135kms away from Binsar.